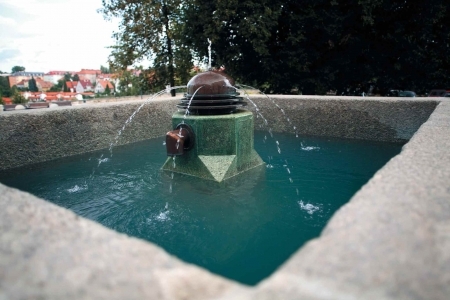 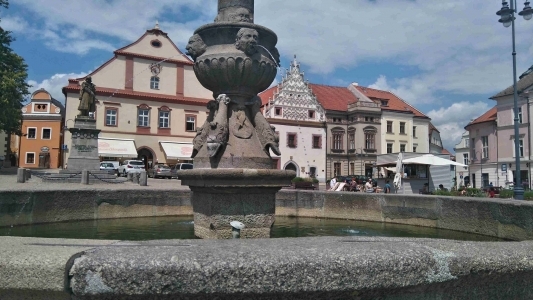 Nobody can overlook the fountain in the middle of Žižka Square. 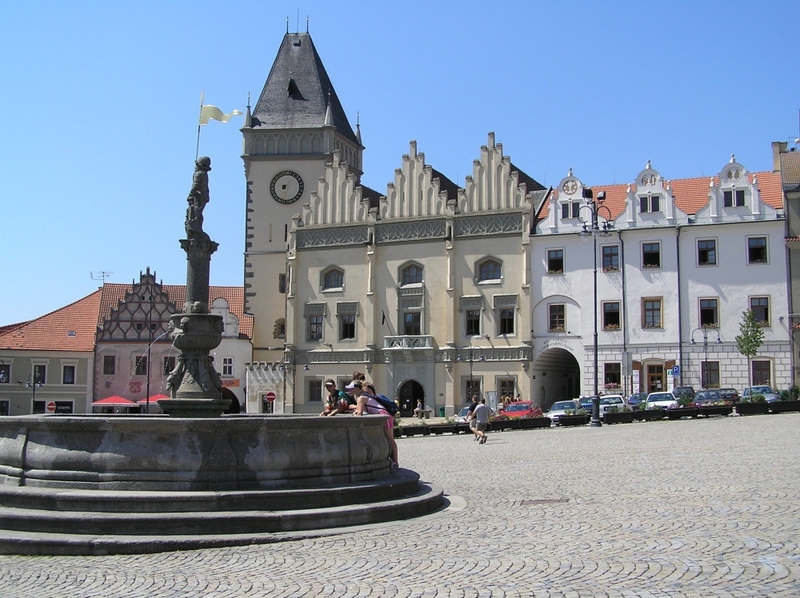 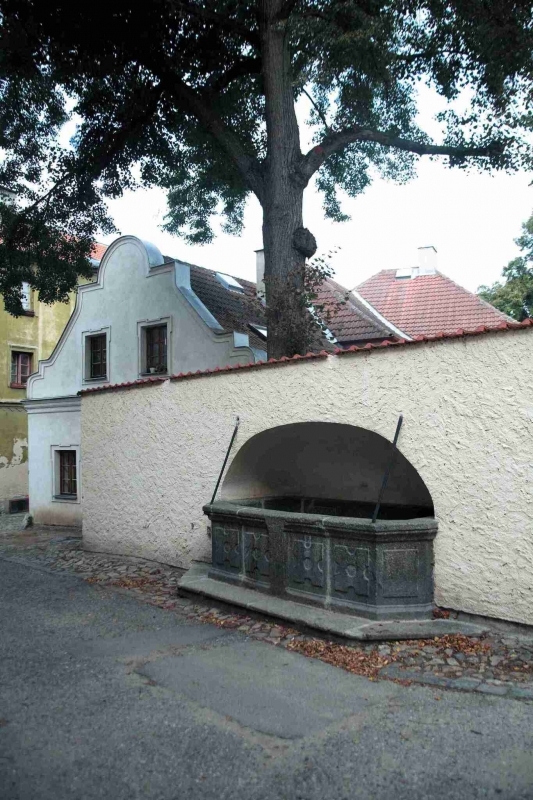 It was chiselled by the stonemason Martin of Sušice between the years 1567 and 1568. 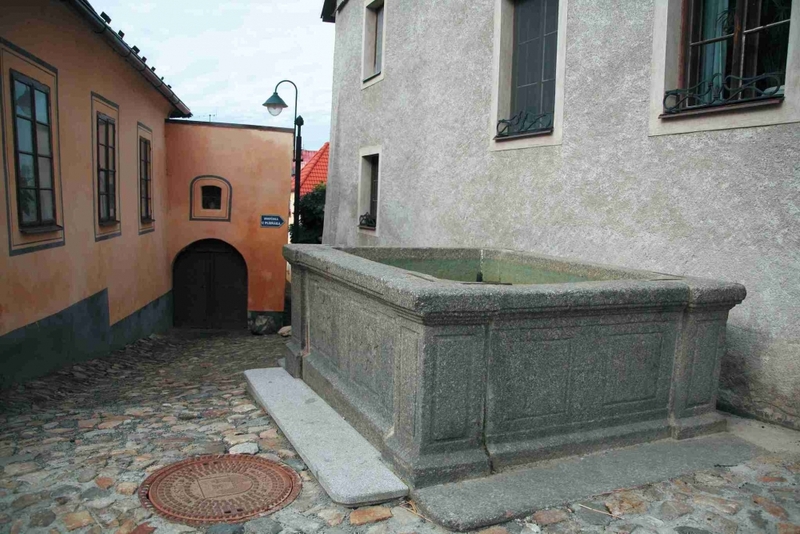 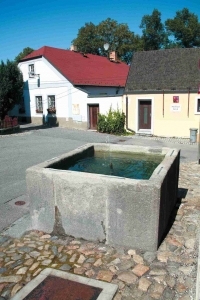 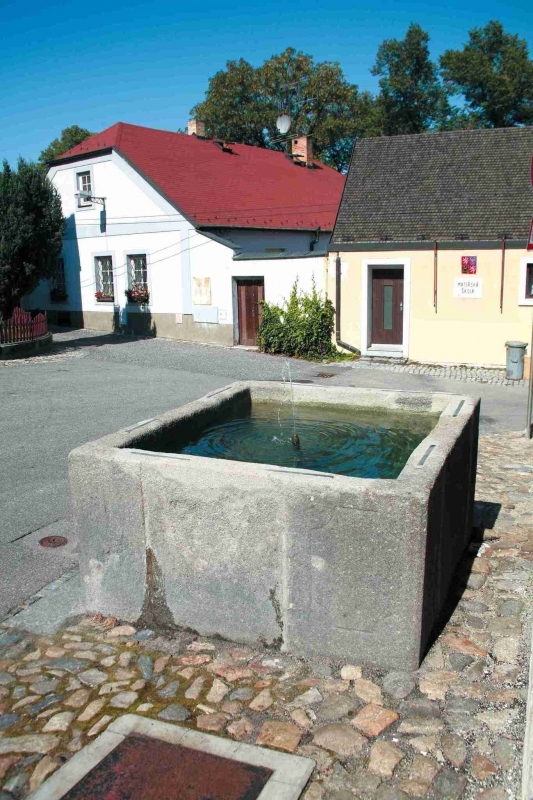 The fountain was a part of the system that supplied the town with water. In the middle of the fountain on a little column with a Corinthian head there is a sculpture of a knight which symbolizes the market privileges of the town. According to a legend, the knight is called Koudela or Koudelka, probably after a Hussite captain. 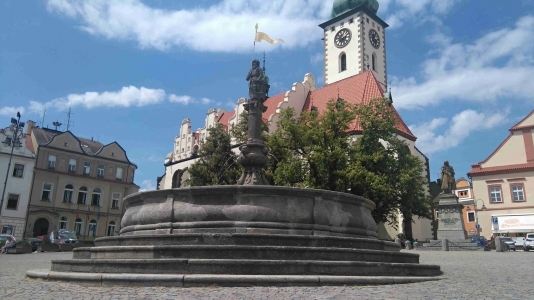 The knight is holding a banner in his hand to show that there was a market in the town.